Yes, it has 20mm to move forward or backward, and you can also install it in the opposite direction. Any suggested power solution for using a BMD 5 inch monitor (12V power needed) with the camera? 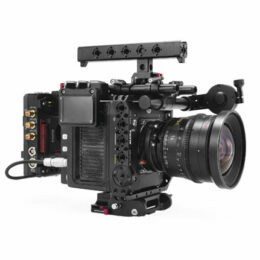 Can you use the BMPCC cage accessories on other cages?